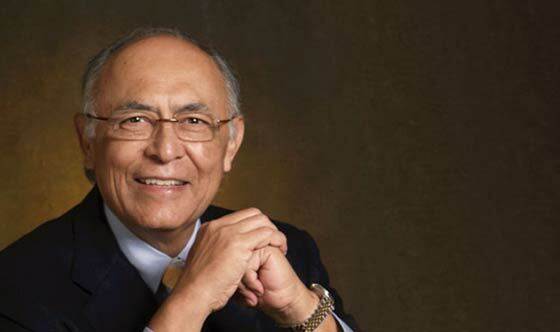 Former AMD chief Hector Ruiz has written a book about his time as the head honcho at AMD. Summoning up parallels to the David and Goliath fable, his book entitled “Slingshot”, details AMD’s struggle against Chipzilla during Ruiz’s time at the helm, spanning from 2000 to 2008. The new book is scheduled to be published on 26th March 2013. During Ruiz’s time at AMD, Intel were indeed found guilty of anti-competitive practices by courts in Europe, Korea and Japan. Intel had to pay fines in all these territories. In the USA Intel decided to settle out of court, paying $1.25 billion in damages, shortly after Ruiz had left AMD. Due to this out of court settlement, made in 2009, the evidence in the case was never revealed. What kinds of dirty tricks were going on? According to the WSJ, Ruiz “cites multiple examples of big U.S. and Asian PC makers getting excited about using AMD’s products, only to back away or reduce their commitments under what Ruiz describes as Intel financial inducements or threats.” This was in the face of AMD’s “particularly strong lineup of chips” during the early-to-mid 2000s. During that time Intel’s market muscle unfairly kept AMD away from the juiciest parts of the PC market. Xbit labs points out the early successes of Ruiz were on the back of technologies developed during his predecessors’ reign; products using AMD64 technology, K8 microarchitecture and the HyperTransport bus. Ruiz left AMD in 2008 and the Bulldozer and Bobcat microarchitectures, designed under his stewardship, are still yet to make much of their potential. Rather than his CPU design successes Ruiz may be better remembered for these legal wrangles with Intel, the acquisition of ATI Technologies in 2006 and the large scale selling off of manufacturing facilities to pay for the debts arising from that decision. Even nowadays I rarely see enough Trinity systems being used in things like tablets and notebooks/laptops. I've always just thought AMD were not marketing their products towards the manufacturers well enough to get them to be used but I wonder if it's Intel's doing still? I'm not too up to date with the actual financial/sales performance of AMD though (i.e. maybe AMD has sold a ton of their Trinity chips and I just didn't know) so it'd be great if someone could fill me in and answer my doubts. Not hard evidence of course, but it really wouldn't surprise me. I'd quite like to buy an A10 laptop when they start appearing. But the market always seems to offer slim pickings for AMD hardware. They're already available and have been for some time, but like you say they're not exactly filling the shelves in PC stores. Combined with ‘experts’ in said stores guiding you towards Intel options regardless of your requirements, it's surprising they sell as many as they do. AMD needs to get customers educated on their products. People walk into a store knowing they want Intel because Intel are better the best or so the perception is. most people fall in the mid market section and should be buying AMD because it will offer the best performance for the money but they don't because they don't know any better or chose to be ignorant about the alternatives.